I’m always a bit apprehensive when using resources for the first time. Will they work for the class? Will they hold everyone’s attention and what will the children learn?! I appreciated the opportunity to work with the P4/5 class at Braehead exploring, for the first time, the story of Jesus feeding the 5000. And it went well! We’ve made a few tweaks to the resources and have updated the page with photos of our learning. Why not take a look – could you explore this story with your class next term? 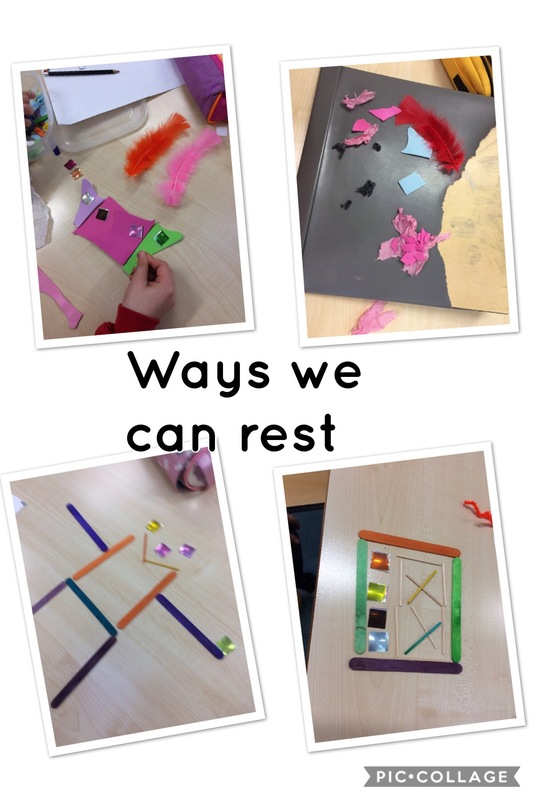 and the children’s ideas of how, like Jesus, they could set aside time to rest. So many ideas like baking, reading, walking and listening to music.